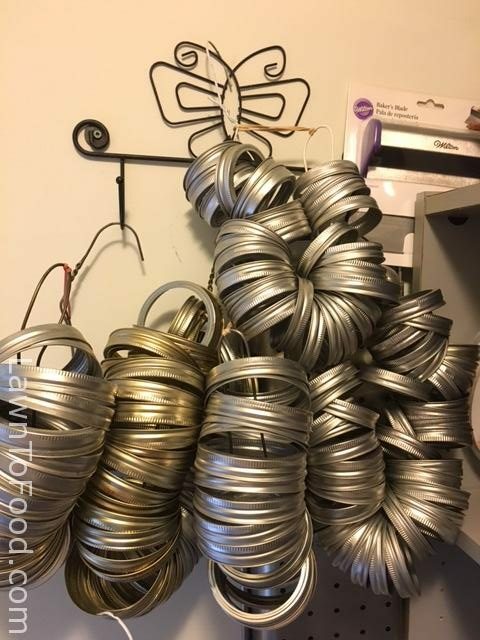 My pantry used to become a tangle of canning jar rings. Especially during that time between November, when canning was completed for the year and June, when half of the put-up preserves were consumed. I was pretty good at cleaning and storing the jars in their specific-size boxes but the rings got tucked into random places in the kitchen. 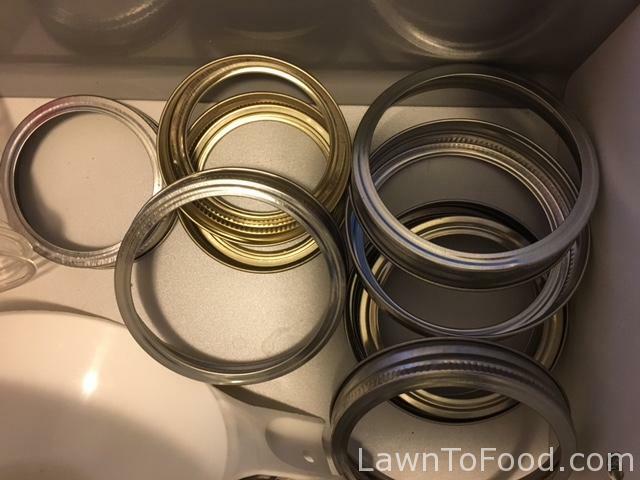 Eventually that canning ring chaos drove me crazy enough to figure out a solution for them. I decided that I wanted to hang them somehow. A container, or box, on a shelf would work but my shelf space was limited, especially for something so lightweight. My first attempt at hanging the rings was on a piece of heavy cord. No matter how careful I was, almost every time that I untied the cord to add a single ring, 27 canning rings would crash onto the kitchen floor. Plan B was an altered coat hanger. 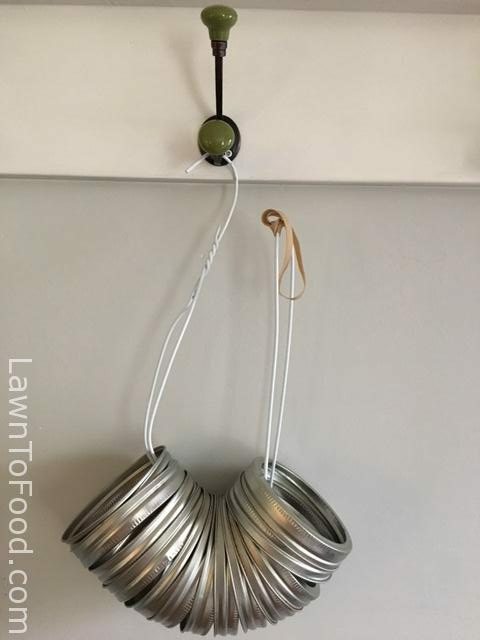 The coat hanger made a solid loop to assemble the canning rings on. It was also very easy to hang on a hook, wire shelving or the back of the door in the pantry.